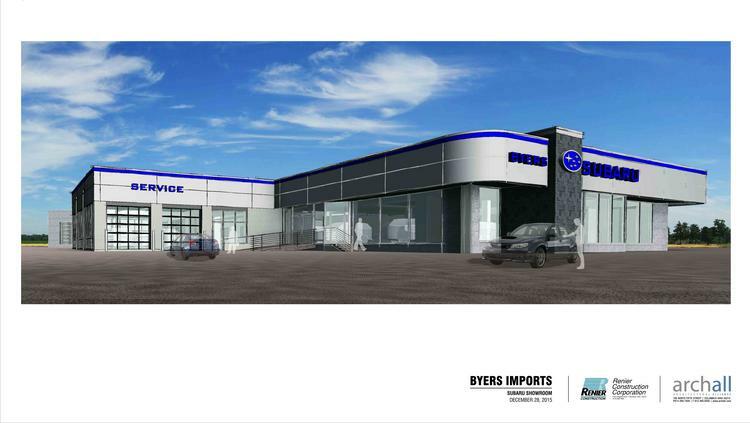 Byers Imports is doing a double upgrade of its Whitehall auto dealership. George Byers Kauffman, Byers Auto Group vice president, said the company is making multi-million dollar improvements at 401 N. Hamilton Road both for its Subaru and Audi stores. What was the 5,000-square-foot Audi building on the 19-acre site is being expanded and converted into a Subaru dealership expected to re-open in early June. Kauffman believes it will be the largest in the state of Ohio. “It’s going to have all the things our customers have been asking for,” he said. Features include a dedicated service drive and amenities like wi-fi and charging stations and quiet rooms for customers who need to work while waiting for their vehicle. The building is being designed with Subaru’s new look, which Kauffman described as “outdoorsy,” fitting the brand’s reputation.